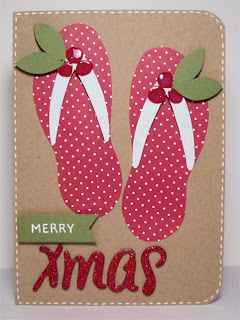 Today I'm going to show you how to make a Christmas card with a kiwi twist. I've been making this card for years, it's one of my favourites and one of my most popular cards at my craft market stall. 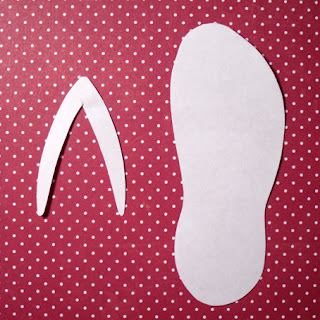 I grabbed some scrap paper and did a freehand sketch of a jandal and the part where you slip your foot through. (Comment on this post if you would like a template for this and I can post one on the Scrappin' Patch Facebook page). Cut your shapes out. You only need one of each. Trace around the shapes onto your chosen cardstock, flipping the shapes over to get the other jandal. 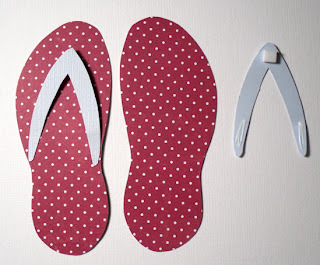 Assemble your jandal by attaching the thong to the base. I used glue at the ends of the thong and then some dimensional adhesive at the top to make it pop a little. 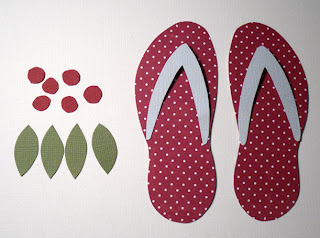 Cut some small circles and leaves out for your holly. These don't need to be perfect. I actually prefer them when they're a little bit rough. 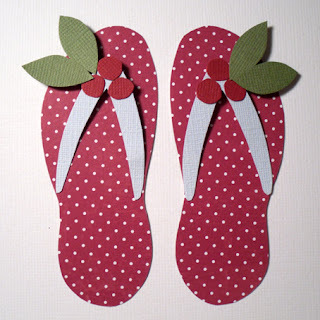 Attach your holly to the jandals with some glue and dimensional adhesive. To give the berries a little shine, I covered them with some Glossy Accents. Add your Christmas jandals to your card base, include a message and there you have it - a fun kiwi Christmas card! I loved it! It’s a lovely project! Since I live in the South Hemisphere, it’s summer on Christmas. So, this card fits perfectly!